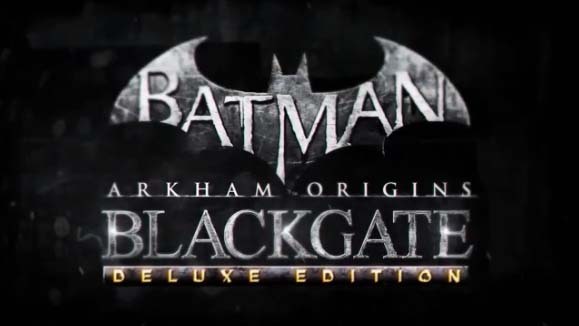 Batman Arkham Origins Blackgate is a 2.5D action platformer, meaning it is a 2D platformer with some 3D elements mix in. This is a companion piece to Batman Arkham Origins and It takes place three months after the Arkham Origins but before Arkham Asylum. In this storyline it is also Batman’s first interaction with Catwoman. He catches her doing what she is always doing trying to break into a building find with wealthy people to steal something rare and valuable. After Catwoman is captured she is sent to Blackgate prison. 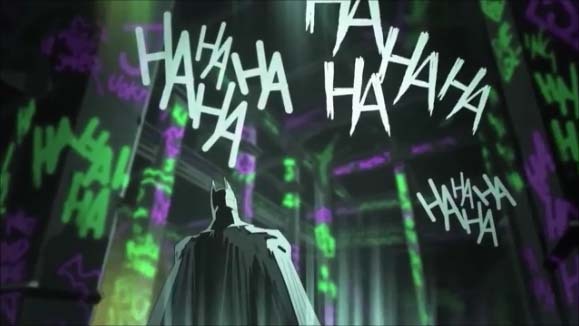 A short period of time later the prison is taken over and is divided up by Joker, Penguin and Black Mask. Each has enough followers that were former inmates to create a balance of power in the prison. Batman must defeat all three in order to retake Blackgate and then find out how they escaped in the first place. The Batman Arkham series has been perfect from beginning to end. 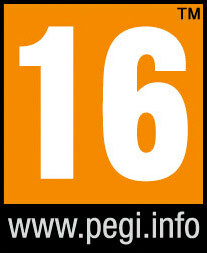 This is the first time the it had ventured into the 2D realm and the first game not created by RockSteady. Blackgate tries to use the same fighting style from the other Arkham games but it does not work as well in 2D. The controls are way too slow to respond compared to how fast the combat is. Over and over you either can’t turn around or hit the button fast enough to keep your combo meter going. 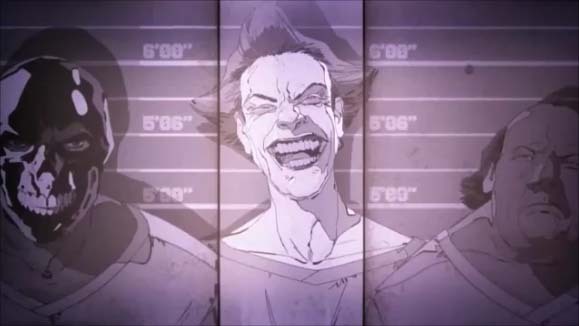 You keep taking hits that did not happen in the other Arkham games. This problem gets worse during the boss battles. The controls are not bad but they needed to be better mostly when fighting several foes at the same time. 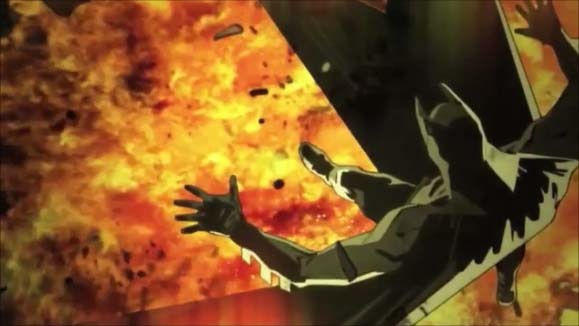 The plot and story is great and getting more background of how Bruce Wayne becomes Batman is always welcome. The narrated comic book style cut scenes shows off the games voice talent and it also adds in parts plot that Batman is unaware of. There are secrets all over the place and this game even uses the detective mode form the other Arkham games even more. You can’t find the files, evidence and pieces of the hidden Batsuits without the Detective Mode. We played most of the game in Detective Mode. It also shows where all of the hidden area are located. The Batsuits each have a different stats as expected but they are just kind just of alright, no real big different besides appearance. Many sections of the prison require a different gadget to get into. This means you will spend a lot of time backtracking to areas you have already been to because now you can open that hatch or door. Sometimes it is a good thing and sometimes it feels pointlessly repetitive. It took us almost 10 hours to beat the game the first time. At the end we had a 90% completion rate, so it would 12 to 14 hours or so to do everything and get a 100% rate. Replay is kind of average, you go through the prison and find everything and you just feel like you are done. There is a New Game Plus mode where you get to keep the evidence, files and Batsuit pieces you find but you will lose your life point upgrades. It is pretty good overall but Batman Arkham Origins Blackgate is now where near as good as the other Arkham games. The story is great but the controls need some help. Keep you price under $10. This game goes on sale a lot on every single gaming system you can think of. You can find a price under $5 many times, a must buy under the $5 price point.